Deanna will be competing at WorldSkills Abu Dhabi 2017, the largest vocational, educational and skills excellence event in the world that truly reflects global industry. Over 1,300 competitors will participate in this event. 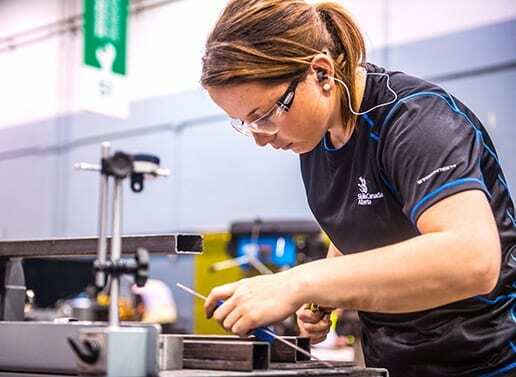 They represent the best of their peers and have been selected from skills competitions around the world from 76 WorldSkills Member countries and regions. Deanna is thrilled to be participating in the competition and believes that all her hard work will pay off. For more information about the 2017 WorldSkills Competition, go to: worldskillsabudhabi2017.com. Like all WorldSkills Team Canada 2017 competitors, Deanna is receiving a great deal of support through her competition sponsor Fixturlaser Canada. Deanna will be attending the Skills Canada National Competition as a training opportunity. Join us at SCNC, in Winnipeg, Manitoba, from May 31-June 3, 2017 at the RBC Convention Centre. Attendance is free. For more information, visit: skillscompetencescanada.com.